"It's just a small change..." is usually how the conversation starts. Client Service doesn't want to say "No" because they don't know how much of a change it really is or what effort will be required to effect the change. Project Management is predisposed to refuse any change because it will most likely screw up the schedule and cause all kinds of cascading changes that may effect resourcing, vendors, etc. But the reality is that most projects encounter scope creep; the unplanned, unaccounted-for (aka unpriced) changes to projects that happen along the way, so it's critical to have strategies at hand to manage it. The client may come to the agency with a very large project which may be how they've defined it and budgeted for it on their side, but the agency can manage scope creep better by breaking the project into multiple sub-projects. Clients may resist this because it's different from how they're addressing the project on their side (and quite frankly, it significantly tightens the scope and reduces the chances of any scope creep), but the agency can explain the necessity by utilizing Agile methodologies like Sprints that ensure the work is achieved as quickly and efficiently as possible. Clients will like the sound of that and the agency will benefit from the smaller, hyper-focused efforts that eliminate scope creep. 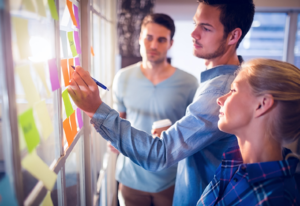 If your agency management system doesn't include Agile methodologies like Sprints, you should check out one that does, like Advantage's AQUA system. Best in class agency management systems give shops the ability to use a variety of processes and methodologies to fit how the agency works best - including exposing the agency to the latest developments in Project Management and learnings from other fast-moving industries like software development. Large client teams are more difficult to manage since some clients are incredibly inefficient in how they make decisions. Try using a tool like a RACI (Responsible Accountable Consulted Informed) matrix to define roles and responsibilities on the project. Help the client narrow the Responsible party to one individual. 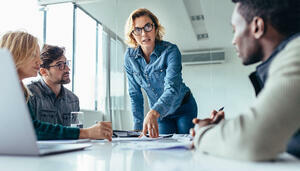 By breaking out the other stakeholders into the categories of those who are Accountable for the completion and success of the project, from those who need to be Consulted on decisions made and those who only need to be Informed of progress, you can start to tease apart the group into manageable chunks. 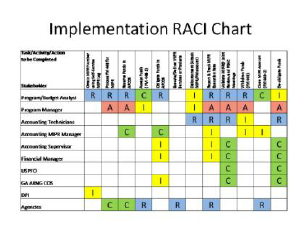 Use the RACI matrix to clarify decision making and reduce scope creep. There are a number of reasons that often cause poor documentation, including projects that require super quick writeup for approval (like at the end of the year when budgets either get allocated or lost), or when there's a lack of clarity on exactly what the project is supposed to achieve (which is often a communication breakdown between either the client and the Account lead, or between Client Service and Project Management) or the result of phase-driven projects in which the exact scope of each phase isn't well defined even on the client side. Clients want agencies that think and act like partners, not vendors, so when they're dealing with ambiguity on the client side, they expect the agency to roll with it. Client Service has to manage this expectation and support Project Management's requirements for specific project documentation. That documentation needs to clearly identify each deliverable (including services like Strategy that might not have a physical deliverable), expected timing for every deliverable, the resources required for each deliverable and the associated cost. The more clear, complete and concise the descriptions of the deliverables and services are, the lower the risk of scope creep. This is another area where your agency management system should help. Best in class systems like Advantage's AQUA software includes digital document management capabilities that enable project managers to easily track, collect and include relevant documents, descriptions and requirements when creating the project scope document. That same document management capability becomes invaluable when (not if) scope creep occurs, because it's one thing to reduce the risk of scope creep and yet another to be able to successfully act upon it when it happens. Every project's documentation should include a Change Process that describes how changes are to be enacted, whether the change is an addition or a reduction in scope. 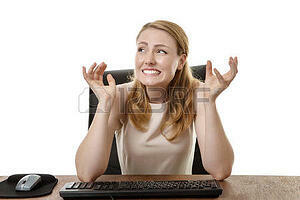 The Change Process needs to be shared with and approved by the client before the project starts. 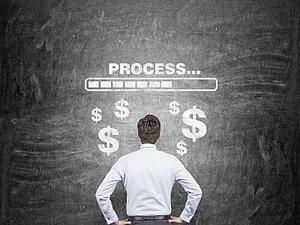 Any client that won't sign off on a Change Process is already planning to shove as many unauthorized changes through the agency as possible and should be avoided like the plague. That said, it's just a reality that changes are often necessary and many may make little or no difference to the cost or timing of the project. That's why it's equally important that just as Account Managers should be trained never to promise changes to the client, Project Managers should be trained not to automatically reject any changes by default (often referred to as "scope kill"). 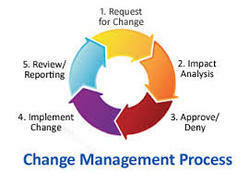 Every change should be evaluated for impact and the appropriate action taken based on the Change Process. Price the new request separately and treat it as its own project. Include the change in the existing project but adjust the price accordingly. Negotiate a new timeline that includes the requested change. Trade-out the new deliverable (if that's what the change is) with one that's in scope. This might eliminate the necessity of repricing or rescheduling the project. One option we definitely do not recommend is attempting to cross deliverables from one project to another (meaning that you subtract an email from Project A, but instead of modifying Project A's documentation, pricing, schedule, etc. you add an email to Project B and don't change that project's documentation either. This path only leads to destruction - be warned. Frequent status meetings tend to reduce the prevalence and impact of scope creep. Consider enacting the Agile method of daily Standup meetings which are super short, super focused status meetings. As projects (and sub-projects) are completed, be sure to hold a post mortem meeting that covers what worked, what didn't and what needs to change. These meetings tend to provide exceptionally useful feedback that can inform future projects and even help sub-projects still in process take a turn for the better. Communicate, Communicate, Communicate! Use your agency management system to make sure everyone on the team is continuously aware of what's going on, who's doing what, where the assets are and what the status is. AMS systems like Advantage's AQUA allow you to communicate with the entire team and manage all your projects all from the same place. 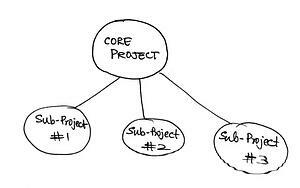 It's a comprehensive approach that makes project management infinitely easier. Successfully managing scope creep is essential for every agency and something every agency must learn to do. Advantage's AQUA agency management system can help. 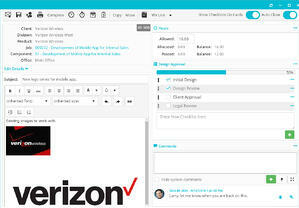 Schedule a free online demo and start managing scope creep more effectively today!